Eskies Online is a 501(c)(3) Multi-breed rescue group that serves unwanted American Eskimos and other dogs in need. Our group of volunteer foster homes spans the North East, and our adoption territory extends from Maine to eastern Pennsylvania, Delaware, and parts of northern Maryland. We do not take in dogs or adopt out dogs beyond this territory. If you are located in an area that we do not cover, Please check our Rescue Information Page for American Eskimo Dogs available in other areas. animal shelters, humane societies, etc. owners who can no longer give their dogs a home for any of various reasons. We are a dog rescue organization, not a shelter. Our dogs live in temporary foster homes where volunteers and staff help these dogs prepare for new families. In the foster home environment, we are able to evaluate the dog's temperament and behavior patterns away from the stress of shelter life. EOL Multi-Breed Rescue is funded entirely through adoption fees, donations and the generosity our volunteers. What happened to Eskies Online? 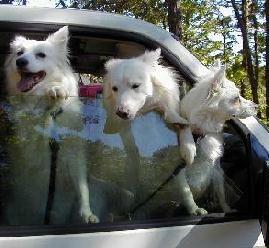 The short answer is that we’re still here and we still rescue American Eskimo Dogs. We frequently have more Eskies than you will ever see on our available dog page…we just can’t keep up with the descriptions and these guys are sometimes adopted faster than we can post them. Call or email if you are looking for an Eskie. The longer answer is that we have more room in our largest foster home and there are so many dogs in need. Shelters are bursting with dogs. We are able to give these abandoned dogs some of the things they need the most, especially time. Time to recover from very solvable problems (like broken bones), time to de-compress after the stress of homelessness, shelter chaos or losing a person they loved. Time for their real personality to emerge, once they are out of danger. Time to get them started on basic Canine Good Citizenship training. And we have the time to show them that people care. You will find purebred and randomly bred dogs on our available dog page, tiny dogs and giant dogs. The website is still in the midst of re-design, so expect to see more changes in the future. 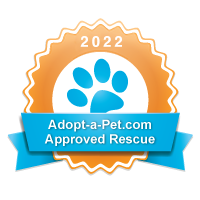 If you are interested in finding out more about adopting a dog through EOL Multi-Breed Rescue, please check our adoption info page, where you can choose a method to receive an adoption application and read about our procedures. If you would like to see and read about our dogs waiting for new homes, visit our available dogs page.